Judy Gold was born today, November 15, in 1962. She is a standup comedian, actress, television writer, and producer. She won two Daytime Emmy Awards for her work as a writer and producer on The Rosie O'Donnell Show. She has also been involved in many projects in various roles, including the television series All-American Girl and HBO At the Multiplex segments where she asks humorous questions of unexpecting moviegoers. She was born in Newark, New Jersey, and first did stand-up on a dare while a music student at Rutgers University. She is a lesbian, who shared a relationship with her former partner, Sharon, for almost 20 years. She has two children (Henry, 1996, and Ben, 2001). Gold is very active in both LGBT and Jewish communities. In an interview with Marc Maron, Gold revealed her comedic influences to be Joan Rivers, Phyllis Diller, and Totie Fields. Her one-woman show 25 Questions for a Jewish Mother, co-written with Kate Moira Ryan, is based on a series of interviews with more than 50 Jewish mothers in the United States. Their stories are interspersed with anecdotes about her own mother and her life as a lesbian mother of two sons. It ran at the Ars Nova Theater in New York City in early 2006 and reopened on October 12, 2006, at St. Luke's Theater. Gold also appears as a commentator on TruTV Presents: World's Dumbest.... In 2007 she was featured in the film Making Trouble, a tribute to female Jewish comedians, produced by the Jewish Women’s Archive. On June 30, 2011, The Judy Gold Show: My Life as a Sitcom, began previews at Off-Broadway's DR2 Theatre in New York City. This one-woman show is an homage to the classic sitcoms of Gold's youth. The show was written by Gold and Kate Moira Ryan and directed by Amanda Charlton. The show officially opened on July 6, 2011 to positive reviews. The New York Times called the show "highly entertaining." The New York Post called the show "gleefully self-deprecating." The show subsequently opened in Los Angeles on June 18, 2013. In 2015, she appeared Off-Broadway as Eleanor Roosevelt in the satiric musical Clinton: The Musical at New World Stages. 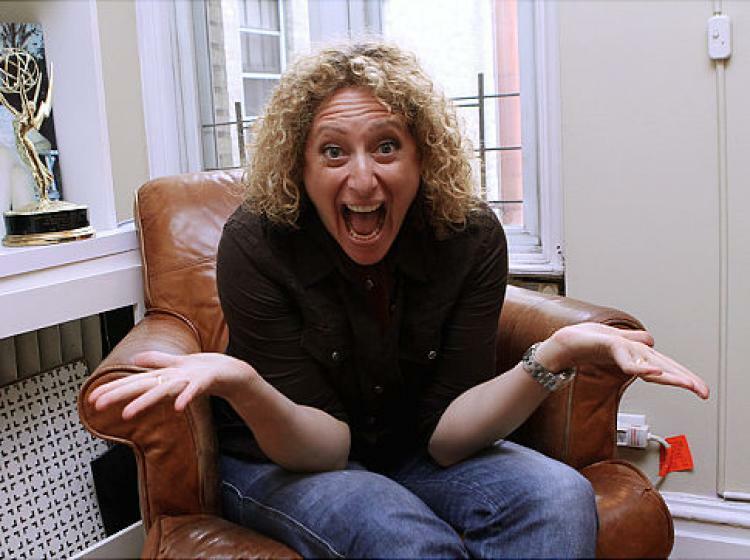 Judy Gold began the "Kill Me Now" podcast with co-host Lauren Hennessy in May 2015.